Today for #SundaySupper we are sharing with you tropical recipes. I just love tropical recipes, mangoes, limes, papayas, coconut, mmmmm…. I could go on and on. Since this past week I went to Napa for work, I thought before I left I would make my Husband a snack to take to work. So I looked on my counter and I saw a fresh mango that I had to use before my trip. I decided, why not make tropical bars with fresh mango and coconut? One of my all time favorite combinations. So I whipped it together and made it as healthy as I could without sacrificing the flavor. 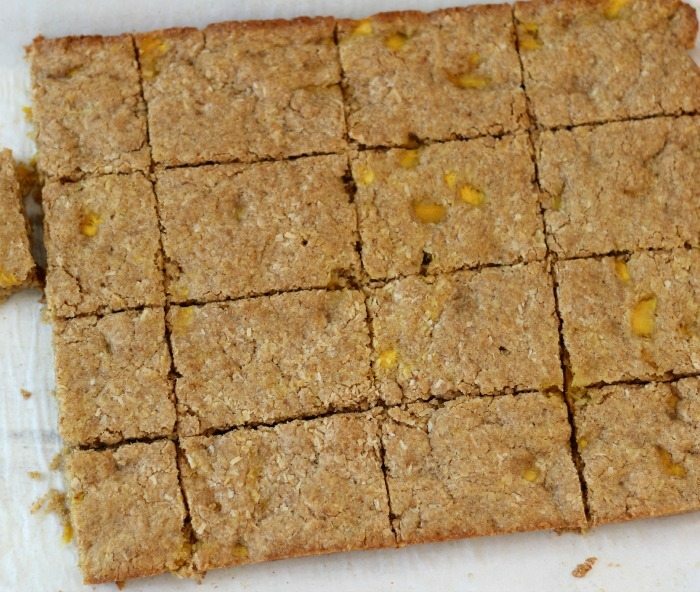 So today I have for you whole wheat mango coconut bars. 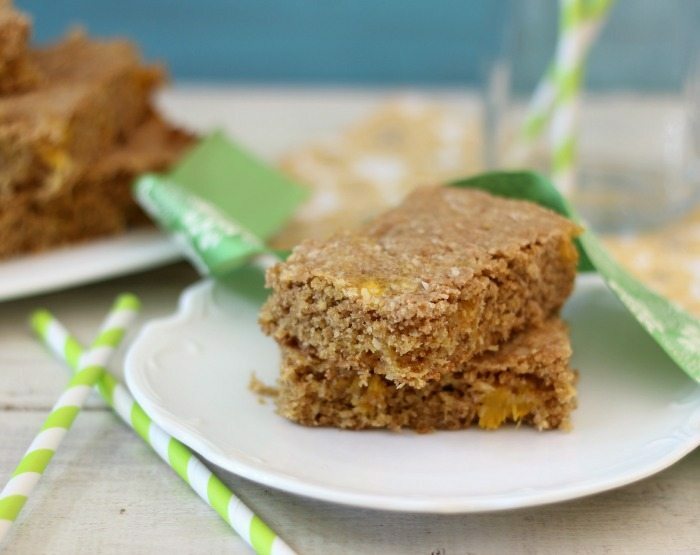 These bars are lightly sweetened with the perfect balance of coconut with little bits of moist mango. I will admit the bars are super moist, but they are a little bit crumbly. To make them I used coconut oil, whole wheat pastry flour, brown sugar, fresh mango and toasted coconut. I have to ask you, have you ever used Trader Joe’s Organic Brown Sugar? That is what I used in the recipe and I have to say the stuff is thick and doesn’t break down well. I was just curious if you thought the same thing? The hardest thing about this recipe is waiting for it to cool. I may not have waited as long as I should have. I couldn’t resist. The smell of them was amazing. My Husband kept saying are they done yet? They smell good. That’s what hard about cooking something that your excited about, waiting for it to cool. 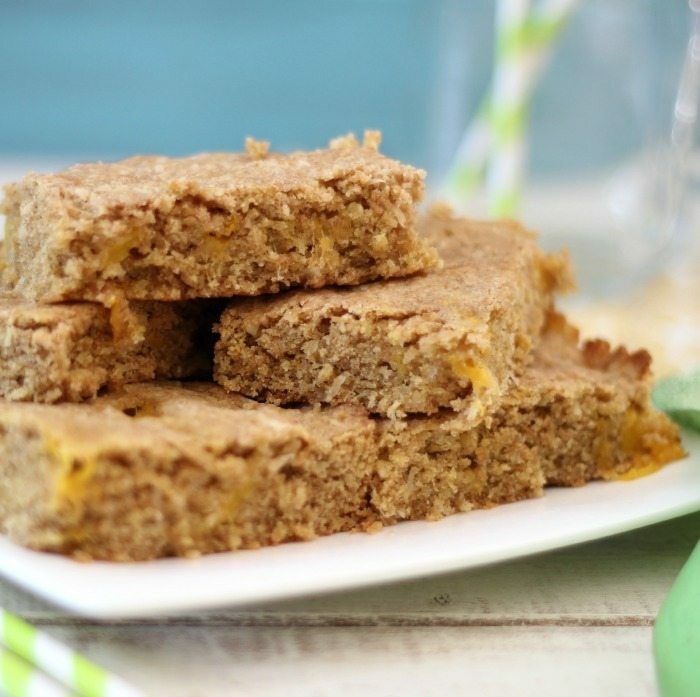 A light, moist, whole wheat bar made with fresh mango and toasted coconut. In a large bowl, add coconut oil, and brown sugar, stir until the mixture is smooth. Add the eggs, vanilla extract and mix until well combined. Gently stir in the flour mixture. Spread the mixture evenly in the pan, and bake for 20 minutes, until they're light brown on the edges and top. Remove them from the oven and cool completely before cutting. To make toasted coconut; add the coconut to a dry skillet. Over medium low heat, cook until lightly toasted, stirring constantly. I am loving these little bars. They go great with a cup of milk or coffee. I found the longer they sit the more moist they get. Be sure to check out what the rest of the crew made for tropical dishes. 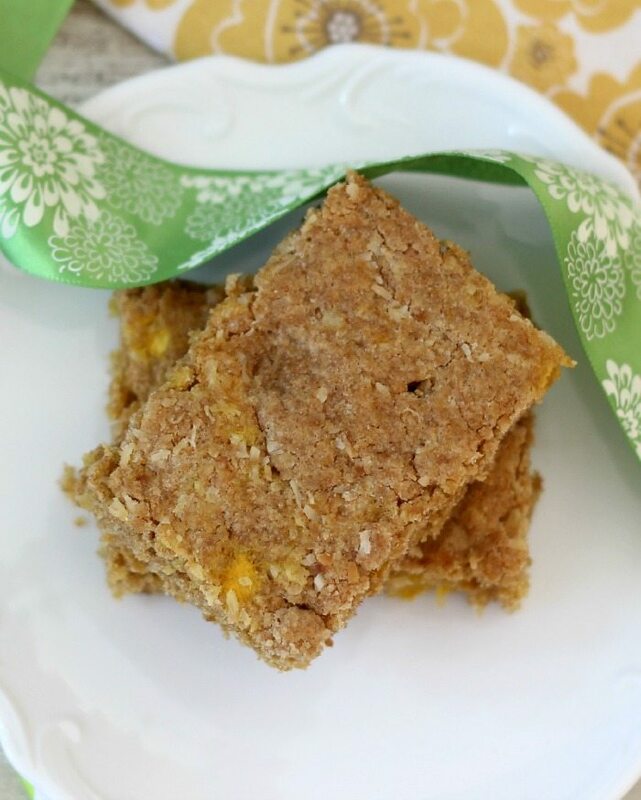 I love any dessert that involves coconut, so you know I’m drooling over these mango bars!!! Thank you Liz! I love the coconut flavor in this recipe. Bring on the coconut!! And I need to try that brown sugar too. Sounds great. Love these healthy bars and I’ve also gone for mango and coconut combo 🙂 They work so well don’t they? Yes, I just love mango and coconut together, one of my all time favorite combos. 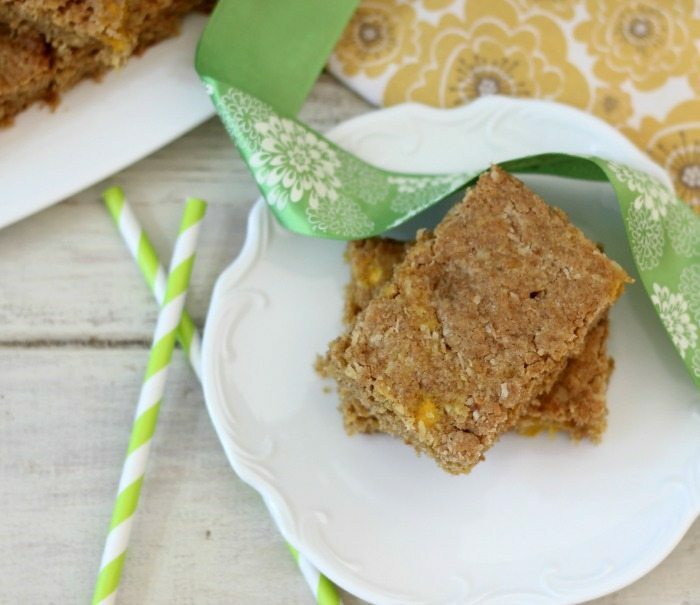 I love your whole wheat option for these yummy bars! They look so moist and chewy! YUM! These cookie bars look luscious! These sound absolutely amazing. I wouldn’t have been able to wait until they cooled either. My husband would demolish a plate of these! Oh, I have the same problem. I can never wait for my baked goods to cool. I’ve suffered many a burned tongue or finger because of it. 🙂 These bars sound so yummy! Mango and coconut are a perfect pair. Oh, I have some ice cold milk waiting for a couple of these bars!! Your mango coconut bars are making me hungry Jennifer. They look fabulous!